I made this piece of wall art for an upcoming craft show on Nov 2 at the Ermineskin Community Hall. I hope you can stop by and say Hi. 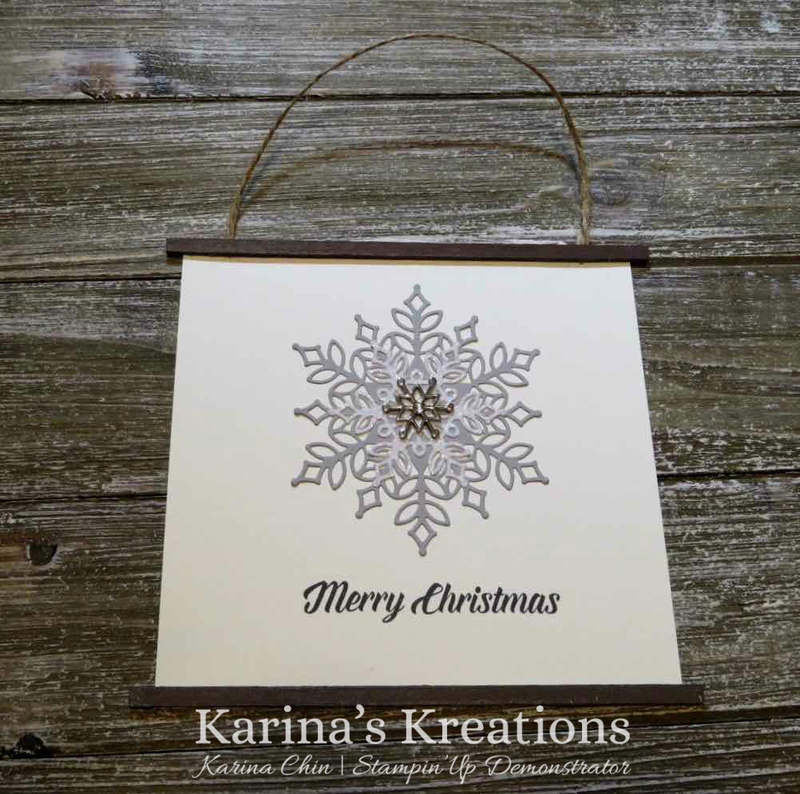 I used the Snowfall Thinlit Dies which will be available Nov 1. These are on sale for a limited time and while supplies last so I'm taking pre-orders now. Just email me and I'll be happy to place your order on Nov 1. 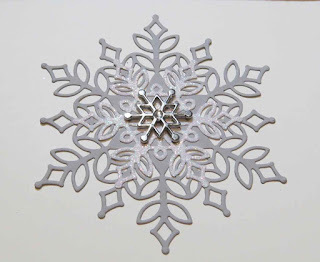 I cut out the snowflake with the coordinating die from Smoky Slate card stock. The smaller snowflake is cut out of Sparkle Glimmer Paper. Our new glimmer papers are thinner and the glitter doesn't rub off like our previous papers. 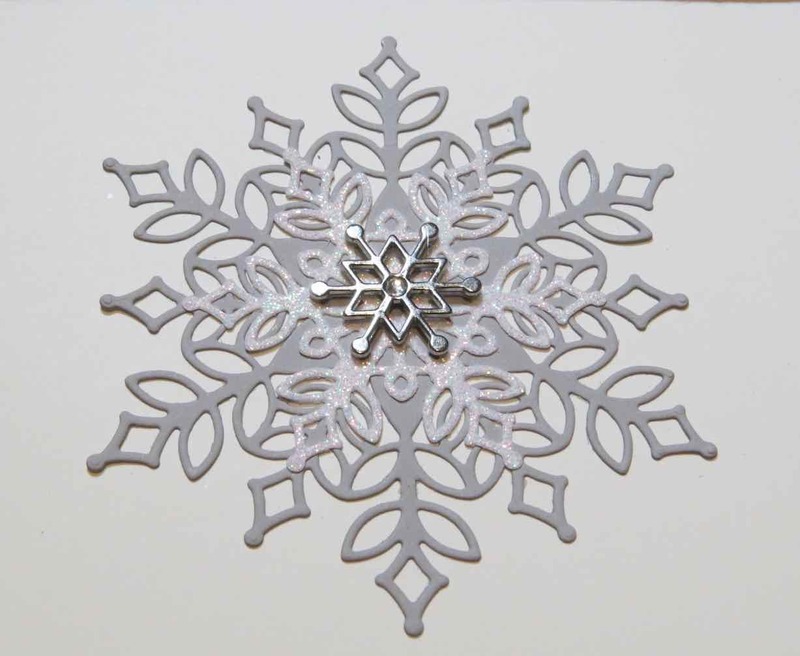 The snowflake trinket is also available on Nov 1. The greeting is from Timeless Tidings. Here's a supply list for my project. Please click on a picture to go to my online store.